When Priya Sapra entered MIT as an undergraduate, she was absolutely sure of her career path: major in biology, go to medical school, and become a doctor. And then things changed. She realized that data analytics and science was her passion, not medicine, and from there her career took off. Today she is the COO and CPO of SHYFT Analytics, an industry-leading, cloud-based data analytics and insights organization in the life sciences. 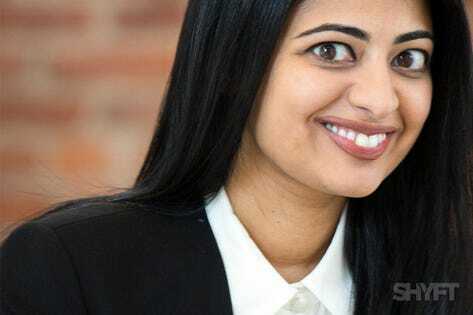 I caught up with Priya on our From the Dorm Room to the Board Room podcast to discuss her career journey. The following excerpt has been edited and condensed for clarity. Andy Molinsky: It sounds like medicine was the initial career plan. What caused you to change your mind? Priya Sapra: When I spent some time in the medical world early in college, it occurred to me that although I want to help sick people, watching them on a day-to-day basis was emotionally draining for me. It was important to be honest with myself as to where I could be most successful. And was a little bit more at arm’s length than I had initially thought. Molinsky: What misconceptions do you think college students have about career development? Sapra: You don’t have it all figured out. You don’t know what you’re going to be when you grow up. The world is constantly evolving. You can build the exact role that you want to have. And don’t think you need to know at age twenty or twenty one, because there are a lot of things you haven’t been exposed to. Molinsky: But let’s say all your friends in senior year seem to have figured it out. They’re going to law school or have lined up great consulting jobs. What advice do you give someone who just doesn’t know? Sapra: Find that thing that interests you now. And go forward with it. Don’t be afraid to take that first step. And then the second step, and the third step. Your journey is not linear. It’s not for any of us. Allow yourself to wander a little. You are the author of your life and your story. Keep power and control of that. Molinsky: I have to ask – you seem so productive. Can you share a productivity tip for us? Sapra: Be an early riser. My most productive hours are from 5:00 a.m. to 9:00 a.m. I also think it’s critical to start your day with a sense of focus and goals. Think to yourself what’s going to define success for you that day and write it down. And then at the end of the day, reflect on whether you accomplished what you wanted to accomplish. Those are some of the guiding principles for how I navigate my day.